The Acquisition Decision Memorandum (ADM) documents the decisions made by the Milestone Decision Authority (MDA) during a Milestone Decision Review. It’s the formal justification that allows a program to proceed into the next acquisition phase. 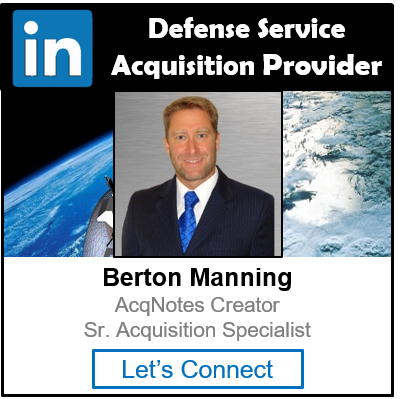 The ADM also lists the tasks that have to be completed during an acquisition phase and the responsible agent for those tasks. Exit Criteria are documented in the ADM.
REGULATORY: Documents MDA decisions and direction. Make sure you keep a copy of the ADM in your files at all time. It’s a good point of reference during meetings to keep everyone focused on what the key deliverables are. Make sure a program understand the key tasked identified in the ADM. These are the tasks that a program is going to be judged against when fighting for funding, resources and proceeding in the next acquisition phase.